Do not attempt to approach or pet a dog without letting it sniff you first. Dogs that are confined in a crate, car, on a lead, etc. often feel threatened by strangers, so do not attempt to pet an unfamiliar dog that is confined. Let sleeping dogs lie. Do not disturb a dog that is sleeping, eating, playing with a toy or caring for puppies. If you encounter an aggressive dog, avoid eye contact and remain still. If the dog attacks, try to put something between you and the dog. Let it bite your purse or coat, hold your bicycle in between you and dog, etc. If the dog knocks you down, curl into a ball and use your arms to protect your ears and face. Remain still and as quiet as possible. If you do get bitten, immediately wash the wound with plenty of soap and water. And, of course, if the wound is serious, get immediate medical attention. Closely supervise young children around dogs even the family dog. Children are the most common victims of dog bites and attacks due to their size and the greater likelihood that they will put their face near the dog’s face. Now, let’s talk briefly about how to protect yourself from lawsuits arising from your dog. Know and understand Tennessee’s dog bite laws. 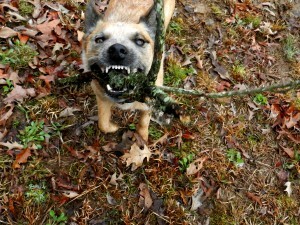 We have a quick summary on our website and you can access it by clicking this link: Tennessee dog bite law. If you have a volatile dog, take all of the appropriate precautions. Keep him inside or fenced. When guests come over, confine the dog to another room or crate. Walk him on a leash. Use a muzzle if appropriate. Take a training class to learn methods for better controlling your dog’s behaviors. Determine if your homeowners’ policy covers dog bite claims. Some policies will exclude these claims especially if you own a “bully” breed. If you do not have coverage under your homeowners’ policy, purchase a separate policy. Be sure to get a policy that covers not only the defense but any liability payments. This will protect you from lawsuits and ensure that anyone who is injured by your dog is compensated for the harm caused. If you have been the victim of a dog bite or dog attack and would like one of our award-winning lawyers to review your case, just give us a call at 615-742-4880 or 866-812-8787. We handle all dog bite and dog attack cases on a contingency basis so we only get paid if we recover money for you. We have helped our satisfied clients recover millions of dollars, and we would be privileged to help you too.